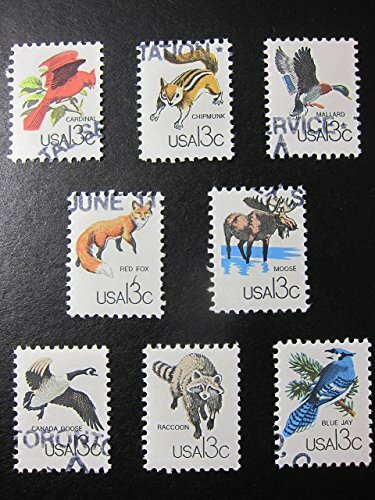 3.5" x 5" Framed Woodland Animal Stamp Art made with recycled postage stamps from The United States - Cardinal, Chipmunk, Duck, Fox, Moose, Goose, Raccoon, Blue Jay. These stamps have traveled the world; now imagine them having a second life around your home or office. Great size for a bookshelf, desk, dresser, or anywhere you need to fill a little empty corner. This is a one-of-a-kind timeless gift. Item will come framed with a glass front. Postal markings on the stamps you receive will vary, because every stamp is unique. Please keep in mind each piece is created by hand in Virginia, USA. There may be slight variations in exact layout and look. If you have any questions about this product by Postage Stamp Art - Factory57, contact us by completing and submitting the form below. If you are looking for a specif part number, please include it with your message.